I have the pleasure and privilege of presenting Professor Oyewale Tomori for the 2002 Nigerian National Merit Award. Professor Tomori was born on 3 February. 1946 in Ilesha in the present day Osun State. He started his education at the age of six at the St. Peters’ Primary School, Ilesha in 1952. In 1958, he started his Secondary School education at the Government College, Ughelli. 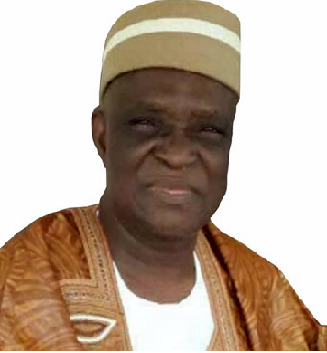 In 1966, he got admission to the Ahmadu Bello University, Zaria where in 1971 he obtained the Doctor of Veterinary Medicine (DVM) as the best all-round graduate. A year later, he enrolled for a certificate course in Immunology as well as Doctor of Philosophy in Virology both at the University of Ibadan. He bagged the certificate in immunology in 1972 and the Ph.D in 1976. Professor Tomori is a member of many learned societies. Among them are: Fellow of the Royal College of Chemical Pathologist of the United Kingdom; Fellow, Nigerian Academy of Science; Fellow, Nigerian College of Veterinary Surgeons; Member, Nigerian Society for Immunology; Member, Veterinary Council of Nigeria and the list goes on. The illustrious career of Professor Tomori started in 1971 when he was appointed a Research Fellow II at the University of Ibadan College of Medicine. By 1977, he had risen to the rank of Senior Research Fellow and he became a Professor of Virology in 1981. He became the Head of Department of Virology and Director, World Health Organization Centre for Arbovirus Reference and Research in 1984 and also served as the Director, Postgraduate Institute of Medical Research and Training, College of Medicine, University of Ibadan in 1987. In 1991, he was re-appointed Head, Department of Virology and Director WHO Centre for Arbovirus Reference and Research. Mr. President Sir, Professor Tomori is today Virologist of International repute, and he is currently the Regional Virologist with the World Health Organization (WHO) - African Region, a position he has held since 1994. Within the past 30 years, Professor Tomori has carried out meaningful research studies on a wide range of human viruses, and zoonotic and veterinary viruses, which are of immense public health importance in Nigeria and Africa as a whole. The studies involve epidemiological and serological surveys for viral infections, the control of viral epidemics, the development of diagnostic tests for viral infections, the immunology of viruses, and the pathology and pathogenesis of the viruses. Prominent among the viruses he has studied are the Yellow fever virus, the Lassa fever virus, the Poliomyelitis virus, the Measles virus the Ebola virus and the hitherto unknown virus, the Orungo virus, which he discovered. This discovery is definitely an outstanding contribution to the discipline of Virology. Professor Tomori is recognized as one of Africa’s frontline Lassa fever research leaders. He has developed a unique diagnostic virus neutralization test for the Lassa fever and in 1981 he received the United State& Department of Health & Human Services Public Health Services Certificate for his contribution to Lassa fever research. His major contribution on Yellow fever is the development of a technique for forecasting impending outbreak of the disease. This has helped to put the country in a state of preparedness to combat the epidemic. Undoubtedly, through his innovative and in-depth research on five major viral diseases of great relevance in Nigeria (yellow fever, Lassa fever, Poliomyelitis, Measles and Rabis virus), Professor Tomori has contributed significantly to preventing and reducing mortality and morbidity in communities such as Nigeria, where outbreaks of these viral diseases occur frequently. His research activities in Lassa fever and Yellow fever extend beyond the shores of Nigeria into other African countries such as Sierra Leone, Ghana, Liberia and Kenya. Professor Tomori’s expertise and contributions have been recognized nationally and internationally. He was appointed a member of WHO team investigating the Ebola virus. He is the first Nigerian Veterinary Doctor to be elected a Fellow of the Royal College of Pathology, and he is the current Regional Virologist of the WHO, Harare, Zimbabwe. Nationally, he won the Honourable Minister of Science & Technology Merit Award and the Orishejolomi Thomas’ Award for contributions to medical sciences through research. 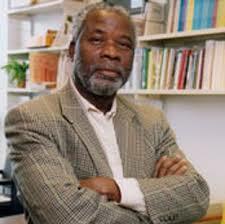 Mr. President Sir, Professor Tomori is one of Africa’s foremost virologists. He has made innovative contributions to medical sciences and practice in Nigeria and beyond. The viruses he interacts with, chases around and seeks to destroy through his daring research activities are deadly, and are usually incurable. Whilst emphasizing his academic and professional qualities, his other qualities must not be forgotten. When he is not chasing around those lethal viruses, he is busy putting smiles on the faces of the less privileged inmates of the Oluyole Cheshire House for the physically handicapped in Ibadan, where’ he served diligently for over 20 years, seven of which he was the Chairman of its Management Board. Professor Tomori is a well- travelled and highly versatile man. He not only has a distinguished career as a scientist, researcher and a writer who is affectionately loved by his colleagues and students, but a darling husband to Mrs. Aderemi Omowumi Tomori and a caring father of five children. Mr. President Sir, I have the honour to present to you this towering virologist, this renowned medical researcher, an icon and a gentleman who has brought glory and recognition to his fatherland and happiness to humanity. This man, whose presence alone scares away viruses, is a patriot with strong ethical philosophical and humanitarian views. By virtue of his expertise, bravery and dedication, millions of people around the world are going about their activities today immuned to the deadly effects of viruses. This is indeed meritorious. Mr. President Sir, it is this man, Professor Oyewale Tomori, that I invite you to confer with the 2002 Nigerian National Merit Award.